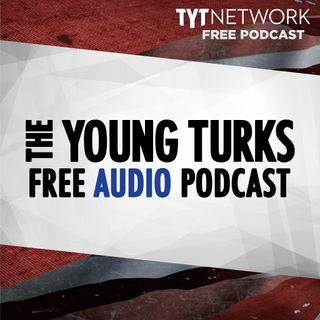 A portion of our Young Turks Main Show from March 3, 2018. For more go to http://www.tytnetwork.com/join. Hour 1: Cenk. Former Alabama senate candidate Roy Moore is asking his supporters for $250,000 to help fund his legal expenses. A new New Yorker profile of Trump-Russia dossier author Christopher Steele reports on a lesser-known memo the former MI-6 spy allegedly discussed with special counsel Robert Mueller’s investigators. According to the report, in late November 2016, Steele relayed ... See More information from his Russian sources that senior Kremlin officials had intervened to block Mitt Romney as President-elect Trump’s choice for secretary of State. Reporter Jane Mayer writes that Moscow had asked Trump to appoint someone who would be willing to lift sanctions related to Ukraine and cooperate with Russia’s involvement in Syria. Romney, long a vocal hawk on Russia, declined to comment for the report. The White House said the former GOP presidential nominee was never a first choice for the job, and declined to comment on “any communications that the Trump team may have had with Russia on the subject.” Former Trump aide refusing to testify and says Trump and Russia did not collude--saying Putin is too smart to collude with Trump. Says it would be funny if Mueller arrests him for not going over emails and says he is not going to go to jail.